He lived in Anacortes, WA for sometime & I believe he was still living there when he passed?...WA is my home state & where I currently live. Always, we baby-boomers will remember him in "Rudolph the Red-Nosed Reindeer". "Big Daddy" in " Cat on a Hot Tin Roof " - splendid ! Yes. "Sam The Snowman." That's right. Now I can picture Sam. Thanks CJ! You are correct. He voiced the charactor "Sam the Snowman" who narrated the story. He also sang most of the songs. He had a unique and wonderful voice. 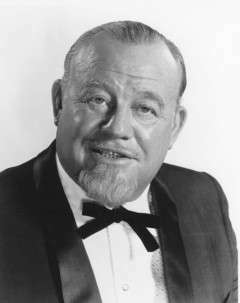 Yes, Burl Ives! My memory suddenly draws a blank: does anybody remember the Christmas Special Burl Ives provided the narration to back-in-the-day! Was it "Rudolph The Rednose Reindeer" (?) The presentation was not a cartoon format, more like stop-action animation, you know what I mean? I am not famous for remembering technical jargon or remembering anything sometimes. lol.